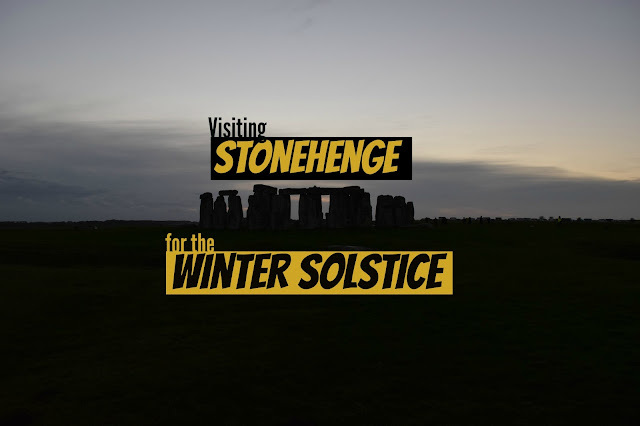 In December 2015 we went down to one of the most visited attractions in the UK - Stonehenge - to see one of the most eagerly awaited events of the year - the Winter Solstice. Okay, eagerly awaited events might be pushing it a little, in fact what even is the Winter Solstice and why is it important? 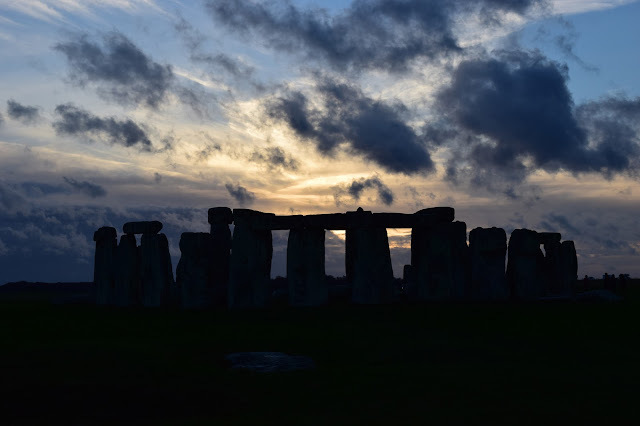 Why was the Winter Solstice SO important? The Winter Solstice is believed to have been important to people back in the day, because it's the Day of Death. The shortest day = the day the year dies, and they were desperate for it to come back. 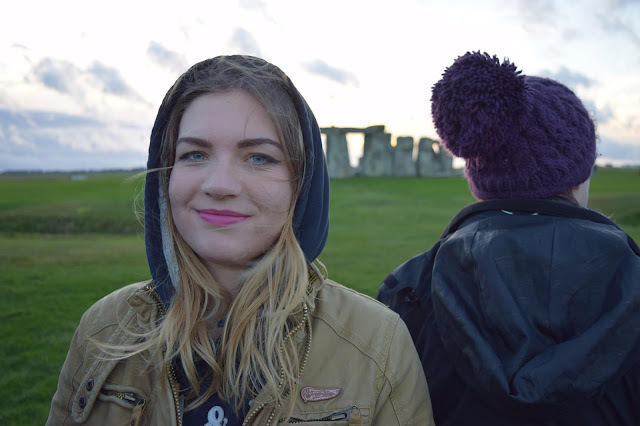 But why come to Stonehenge on the Winter Solstice? Stonehenge not only points at the Winter Solstice Sunset, but there are also Ice Age grooves in the rock under the avenue, pointing there too. 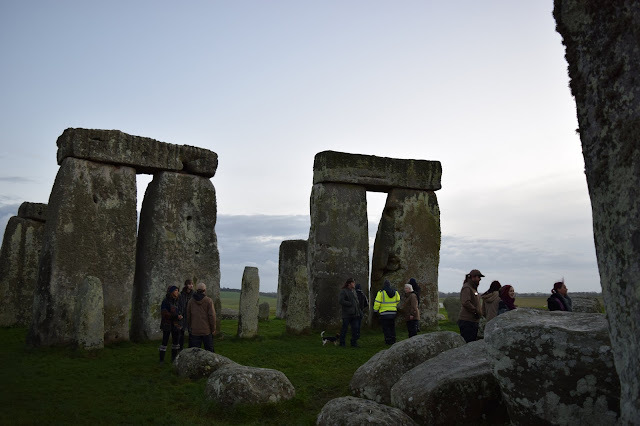 Basically, the Winter Solstice is what Stonehenge was built for. Folks would come to Stonehenge on the Winter Solstice, have a big feast, celebrate, and pray for the sun to come back up. They would also bring their dead there then. And it wasn't just nearby folks, from recently found evidence, we know that people were coming from as far north as Scotland(!) Don't forget, this was way way before Megabus was invented. There would be no cheapy bus there. You'd have to walk, or maybe take a horse. 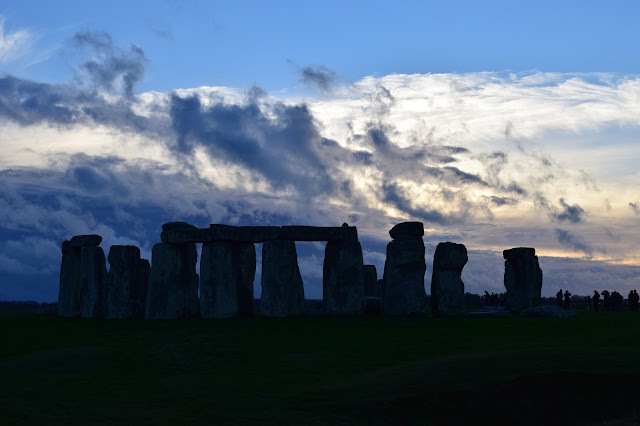 So, why come to Stonehenge for the Winter Solstice? Because it's something our ancestors did thousands and thousands of years ago AND it's the reason Stonehenge was built. Weasel Tip: Leave extra time to make sure you arrive at Stonehenge at the time you want to, the road that runs alongside Stonehenge was chocker and we were late! There really weren't that many people there, and there was a great relaxed vibe. Then some pagans turned up!! They weren't allowed inside the Stonehenge ropes, so they did a little ceremony outside. Then, as the sun went down, the clouds came up and unfortunately we didn't see that famous money-shot sun going through the stone bit. Nevertheless, the relaxed vibe was still there and then the moon came out! 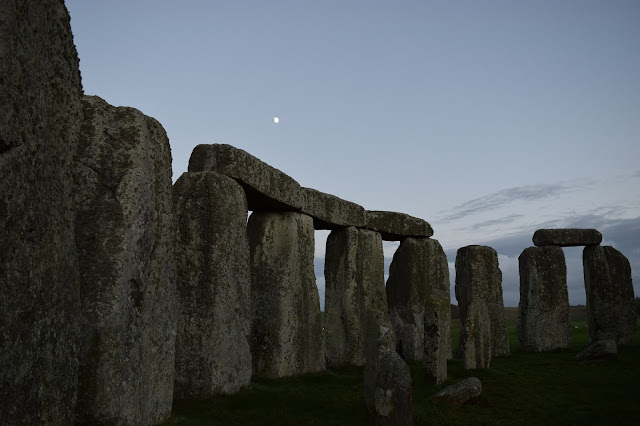 Stonehenge was used not only as a calendar to map the sun's progress (i.e. to tell when a year had gone by). It was also used to map the moon's progress (i.e. months)! This was pretty unusually for this time - most stone monuments either mapped the moon OR the sun, not both. 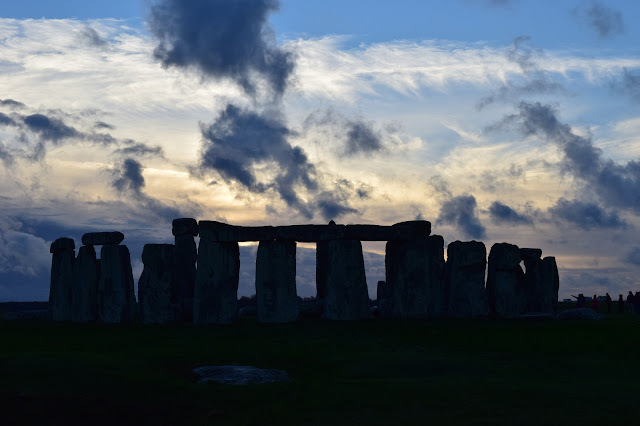 Whilst we didn't witness the sunset, we did witness a few pagans (and their dog) jump the Stonehenge rope and run inside the circle. They respected the rocks and didn't touch them, so it wasn't really a bad thing to do, BUT if everyone jumps that rope, soon it will turn into a concrete wall (think Berlin Wall) and no one will ever be allowed near the stones again. Which would be sad. What else can you do near Stonehenge? 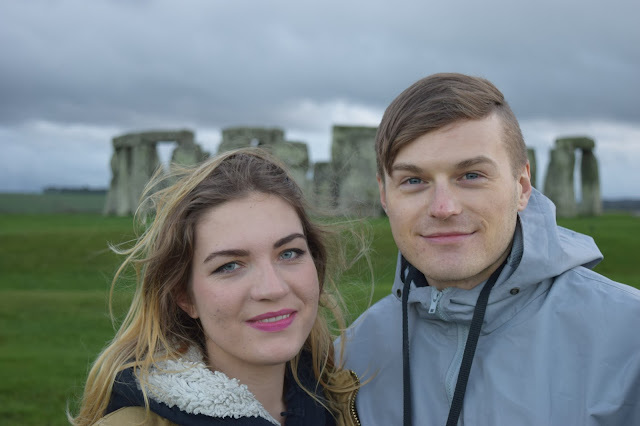 Last time we went to Stonehenge, we visited nearby Salisbury. This time we did it again and even stayed with my lovely Godmother and her lovely son (thanks Polly and Zak)! We definitely recommend visiting Salisbury, read all about it on our Stonehenge and Salisbury post! If you'd like to touch some super ancient stones but don't want to jump a rope and get told off by Stonehenge security, head to Avebury! 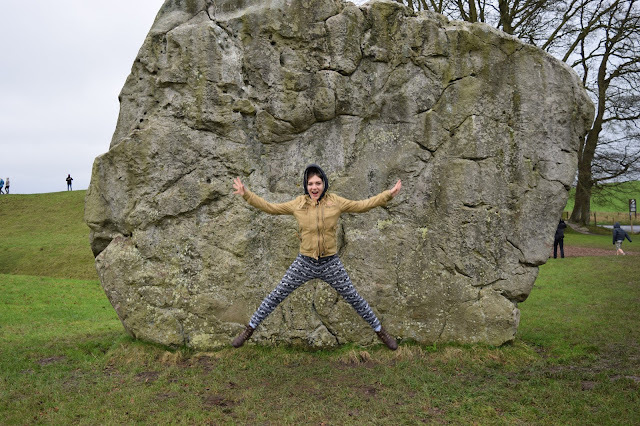 Avebury is actually older than Stonehenge, and you can touch the stones! Weasels recommend: in the centre of the stones is an old British pub which is actually super cute, has great food, isn't too expensive, and isn't a Wetherspoons!! 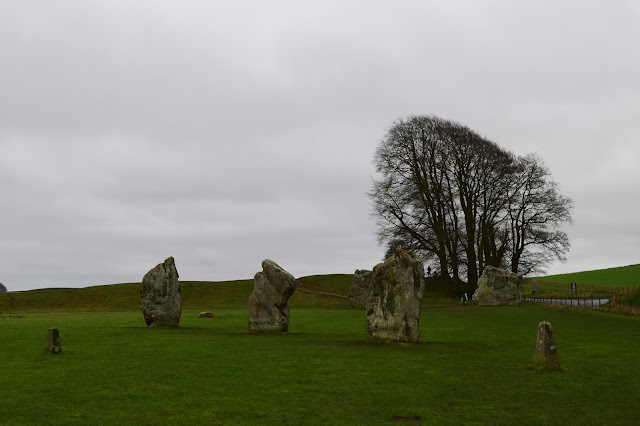 Between Stonehenge and Avebury is the infamous Silbury Hill. This one reminded us of the volcanic hills on the Azores, but it is actually 100% human made. It's a whopping 30 m/98 ft tall! And the tallest prehistoric human-made mound in Europe (haha ours is taller than yours). What better way to compliment your Stonehenge visit than by staying at a place that looks like it was built around the same time?? Okay the Legacy Rose and Crown Hotel isn't really as old as Stonehenge, but it was still built as far back as the 13th Century(!) Which we think is pretty cool, and would make a decent Instagram photo. Prices are usually around £100 for a night's stay, but if you book with Agoda you can usually get around 20% off! For a really good deal, try booking Hotel Qudos through Agoda, prices will then be about £50. 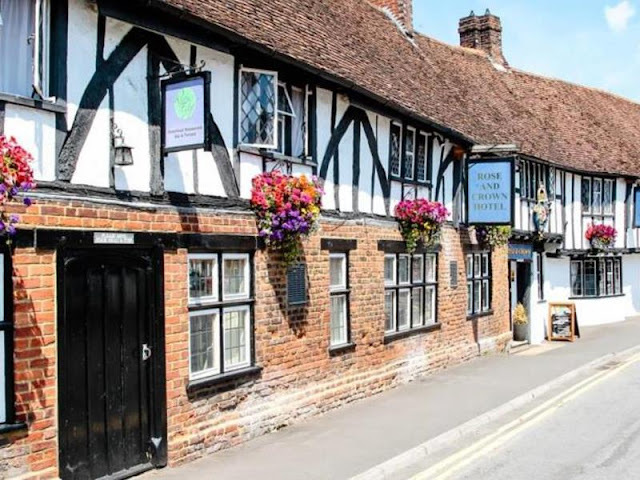 To find more good hotels in Salisbury have a browse here. It's definitely worth having a look on Trusted Housesitters (the website where we get all our top house sits) to see if you can nab yourself one. You can start off by having a look for House Sits in Salisbury. If there aren't any and you have to go a bit further afield, never fear: whilst the downside of House Sitting may be that you can't stay exactly where you'd choose to, the upside is that you are often lent the Home Owner's car, and don't have to worry about hiring a car! All in all, we love Stonehenge, it truly is one of the best sites in the UK. 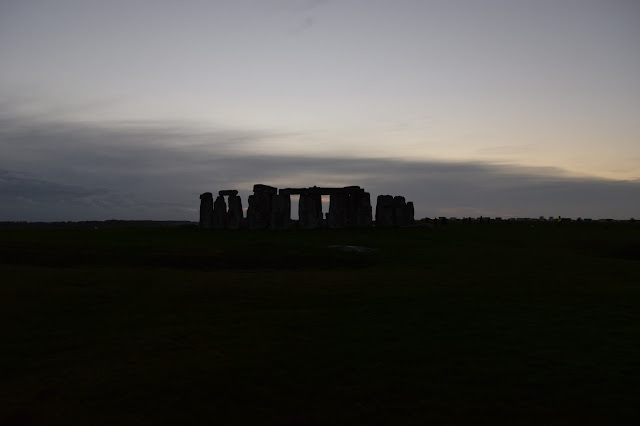 We loved going there on the Winter Solstice and will definitely go again at some point! But have we convinced you? Leave a comment below and tell us! Alternately fan us on Facebook, Twitter and Instagram and tell us on there!